Loudoun County will pitch in to help win funding for a new type of air traffic control tower at Leesburg Executive Airport. Leesburg airport has all the equipment set up and tested to operate a remote air traffic control tower, and is seeking to join the Federal Contract Tower Program to pay for one. If accepted, the federal program would bear the cost of operating a virtual air traffic control tower at Leesburg airport, but the Federal Aviation Administration put a moratorium on new entrants to the program in 2014. 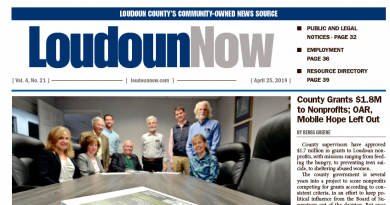 The Leesburg Town Council voted to spend $36,000 on a federal lobbyist to try to win an exception. The county will now pitch in $1,000 a month, up to $12,000 in support of the effort. 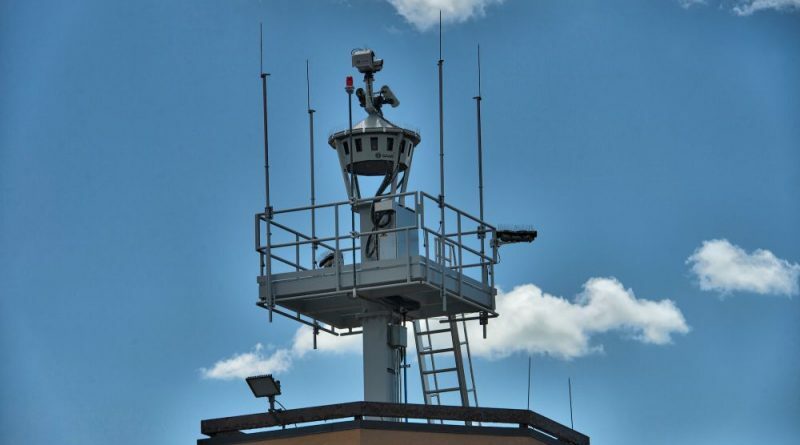 A remote tower system places cameras and other equipment all around the airport, but rather than construct an actual tower, air traffic controllers can work in a space anywhere. Board Vice Chairman Ralph M. Buona (R-Ashburn), who served in the U.S. Air Force, said he had a tour of the facility. Leesburg Executive Airport is the second-busiest general aviation airport in the state at 115,000 aircraft operations a year. Only Manassas has more traffic. According to Airport Commission Chairman Dennis Boykin, building a tower on the airport could cost upwards of $6 million, while building a control facility remotely could cost less than $4 million. Operating the facility is estimated to cost around $650,000 a year, a cost that would be borne by the federal program. A Virginia Airport System Economic Impact Study published by the Virginia Department of Aviation in 2011 said the Leesburg airport contributes approximately $78 million to the local economy annually and is responsible for more than 600 jobs with an estimated payroll of $32 million. According to airport manager Scott Coffman, 250 aircraft are based at Leesburg. The fact that Leesburg has no control tower of any kind scares me. There are planes flying in and out all day and they are hedging in the airport with new developments. I hear ya’ Mr. D.
Living within the approach to 35, I get see wonderful aircraft at their best, wheels down, slats extended, and banking hard to line up for final. Lear’s, Falcons, Global’s, Beechjets, the King Airs. Somebody has a really sweet Pilatus that shows up once in awhile , and my favorite; The G’s — Gulfstreams — Works of art. I think the runway should be extended and widened (that ship has sailed unfortunately), and they’re in desperate need of ramp space. I’m all about a control tower, but it really bothers me that government has to spend my tax money to lobby… government. We already pay lobbyist: Barb, and those two worthless Senators of ours. Why aren’t they kicking down doors, and standing on desks? Another great point, Chris. If Comstock, Warner, and Kaine can’t deliver this, what good are they? Just another example (of many now) of the effectiveness of Supervisor Umstattd in working with her fellow Board of Supervisors. It is interesting what can happen, when you have a Leesburg Supervisor who knows how to work with her fellow supervisors, unlike Ken Reid, who alienated everyone on the Board of Supervisors when he was on the Board, and who, during his four years on the Board of Supervisors, accomplished absolutely nothing. Yes Lawgh — How brave of Supervisor Umstattd to spend other peoples money supporting the the political class, while completely giving a pass to the three establishment politicians who are supposed to be doing their jobs, by delivering these precise services to us. Don’t you sweat it — you can count on all three being present (and of course, Umstattd, who never ever misses a ribbon cutting even when she had nothing to with it.) when the project is completed to take full credit for it. Lobbyists get paid. Politicians get paid. Tax money spent and donations made. Embellished claims of effectiveness in the campaign literature and all is well. See how this works? What a hoot, Chris! Political class! My, my! Airports, a sign of the “political class!” It doesn’t get any better than that. An amazing project, a major step into the future, that can revolutionize how air traffic control is conducted, and save huge amounts of money in the process, and that is what my very good friend Chris would call the “political class!” How short-sighted, or clueless can you be, Chris. How proud your English and reading teachers must be Mr. Lawgh. “Political class” refers to a tax payer funded, county hired lobbyist, not a runway, as any reasonable person understands. I never cease to be amazed at your appetite to defend waste, fraud, and abuse by our county officials and how comfortable you are with our elected officials feeding consultants and lobbyists, to do the job our already elected federal officials are supposed to be doing. Where is Warner, Kaine, and Comstock? This is what we pay them for. My, my, my very good friend, Chris. Now we are talking about fraud ‘n corruption, as well as the airport’s “political class!” When will this “madness” ever end? Oh, the inhumanity, the inhumanity! Let’s get real for a moment, shall we? This is an excellent innovation, that can only lead to better air traffic service, and why you insist on ignoring that, while trying to turn this story into a pumpkin at midnight is beyond comprehension. But, keep digging that hole. One day, you might get to China. Irrationality isn’t a process Mr Lawgh – it’s a signature that you have no meaningful argument. I understand you’re an apologist and enabler for lazy politicians and their lifestyles, and a defender of all things which squander our tax money. You are the exact type of person politicians count on to fall for every money laundering scheme, falsehood, and shakedown. A true believer. Since you know everything, tell us: What class of airspace would JYO be with an active tower? How high does that airspace it go? How about during non-service hours? Where do pilots at JYO get their IFR clearances currently? Who owns the airspace above JYO? Who owns the airspace around the metro area? How many hours as a pilot do you have? Do you have an instrument ticket, or just a straight VFR guy? Still laughing with amazement, my good friend Chris. Now, you seem to ponder the wonders of air traffic control. But, I might remind you, you entered this comment section dismissing the whole thing, and using it as a basis to attack people you politically don’t like. So, I now would guess you are acknowledging the importance of this project to aviation in the County. Good for you to come to the light. And as for Vin, something big in Leesburg, how about the millions planned, now, due to Supervisor Umstattd’s persistence, along with Supervisor Higgins, to finally get the road improvements for North Route 15. Something, by the way, that Ken Reid could never do as supervisor. You’re unable, or unwilling, to even make sense. It would be easy to attribute your comments to a reading handicap of some sort, but astonishingly, it’s all on purpose. If you’re the kind of people who support Supervisor Umstattd, then I feel sorry for her. Keep it up. Please. It’ll be positive for rational people to see the leftist fringe continue supporting the waste of tax dollars on lobbyists, and excuse elected representatives unable to complete even their most basic duties.